I do tend to visit the same people each week when we do these hops. I know who usually visits me, and I try to comment on their posts in return. I don't search out new blogs on a regular basis, unless I am looking for something particular. However, I have been searching a bit for new podcasts lately, both as a way to keep up with news on things I love and as a means of practicing some of my foreign languages. The tip of the blade skims over my ribs, burning from the cold of the ice, but not drawing fresh blood. He laughs when I run a finger over his ribs, but it trails off when I wander to his chest and trace the deep scars hachured into his skin. I love those snippets!!! I added you to the Linky. Happy weekend! Sounds good. I hope you are enjoying it. This week I have a historical mystery - A Moment in Crime by Amanda Allen. Happy reading! Sounds very steamy and exciting. Hope you have a wonderful weekend! It's good so far. Thanks Alicia! Funny that both quotes mention ribs. 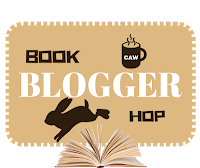 I tend to stick to the blog hop blogs, too. Many blogs I used to follow have stopped posting, so this is one way to know who is still active. Yes, when I spotted that second one I couldn't resist doing the contrast. 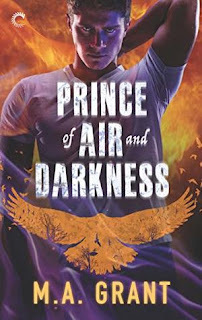 Oooh, The Prince of Air and Darkness looks good! It was an enjoyable read. I can recommend it. This sounds cool! Thanks for sharing! I enjoyed it. It's worth checking out.